The statistics for breast cancer can be pretty scary. As a matter of fact, the American Cancer Society tells us that in the United States alone, at least 1 in 8 women develop the disease. 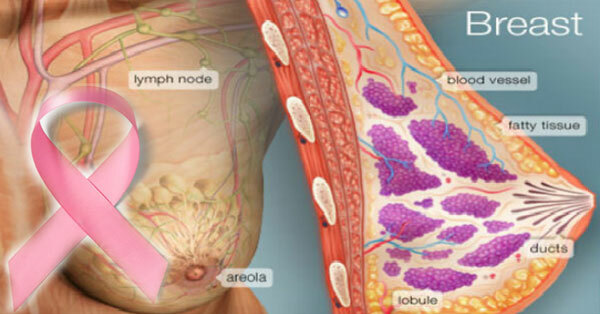 So the question here for many is this: Is it possible to prevent breast cancer? We learn that there are at least 8 ways to reduce the risks. #1. Include walnuts in your diet. A Marshall University School of Medicine research tells us that eating 2 handfuls of walnuts each day can help prevent breast cancer. It can also help thwart tumor growth for those who already have cancer. This is because walnuts are rich with antioxidants, omega-3s, and phytosterols. In a study involving over 22,000 Chinese women, it has been discovered that those who ate at least 10 grams of button mushrooms each day were about 64% less likely to develop breast cancer. Mushrooms are effective in curbing estrogen production and in boosting the immune system. #3. Stay away from alcohol. While there should be no problem in minimal, occasional drinking, the National Cancer Institute (NCI) warns that drinking too much increases risks of acquiring breast cancer. A Mayo Clinic report declares that while a direct link to pesticides have yet to be scientifically validated, women with high levels of pesticides in their breast tissue have higher tendencies of acquiring cancer. This is, of course, another good reason why you should buy organic vegetables – or grow some of them in your garden. Instead of drinking coffee, it is much better to go for tea. The January issue of Cancer Epidemiology Biomarkers & Prevention shares that women younger than 50 who habitually drank 3 cups of tea prevented cancer by 37%. A 2007 study published by the International Journal of Cancer declares that women who had diagnostic chest X-rays for pneumonia had twice the normal risk for breast cancer. The same can be said for those who got radiotherapy for acne or other skin conditions. Meanwhile, a 2007 University of Leeds study confirmed that older women who consumed 2 ounces of saturated fat–laden red meat a day for about 7 years had a 56% higher risk of breast cancer than those who didn’t eat these foods. This might sound surprising to some but, yes, an Israeli study says that stress leads to breast cancer and so staying upbeat really has its rewards to you – emotionally, mentally, and even physically.